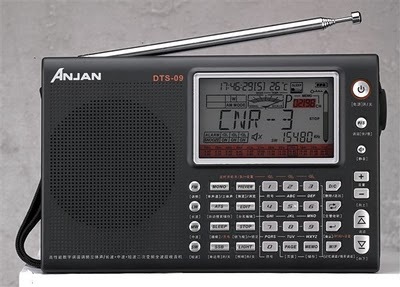 The Anjan DTS-09 is a digital shortwave receiver with SSB/CW modes. As with most Anjan radios, the DTS-09 is primarily available through eBay sellers in China. Please see our link below which automatically searches eBay for these sellers. Also note that reviews for the DTS-09 are overwhelmingly negative. Complaints include frequency offset by as much as 2 kHz and lack of sensitivity on shortwave bands. This entry was posted in Anjan, Portables and tagged Anjan, Anjan DTS-09, Anjan DTS09, DTS-09, DTS09. Bookmark the permalink.